Situational awareness ... "White nationalists plan rally in Washington," per USA Today: "Jason Kessler, who organized [last year's Charlottesville event,] ... was denied a permit ... in Charlottesville this year ... In Washington, Kessler's ... application for a rally Aug. 12 received initial approval" from the National Park Service, per WUSA. 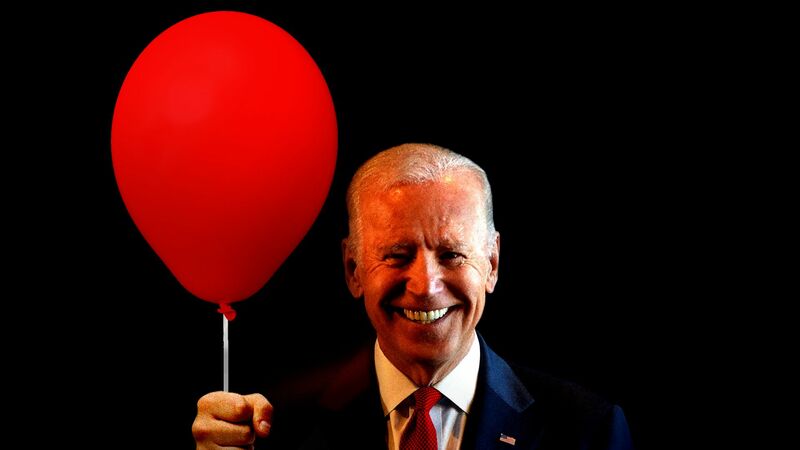 Trump advisers say says Biden, like the president, conveys authenticity, is comfortable in his own skin, can work a crowd, and relishes throwing and returning punches. 2. Lanny Davis tells me: "There's more to come"
Lanny Davis — a lawyer for Michael Cohen, President Trump's former lawyer and fixer — said following last night's release of a secret Trump-Cohen recording that we'll soon learn more "about what Michael Cohen saw and heard." 3. 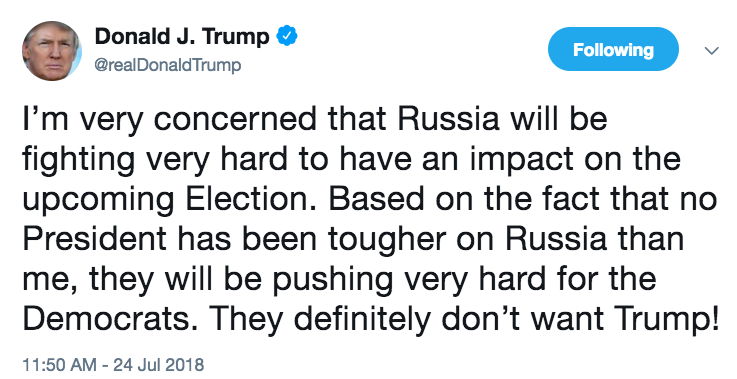 "Willing to weaponize the information"
What it illuminates about Cohen: The leaking of the tape is, in some ways, more important than the contents of the tape itself. On Saturday, I reported that Cohen has been privately telling friends he has real concerns about Trump’s fitness to be president. 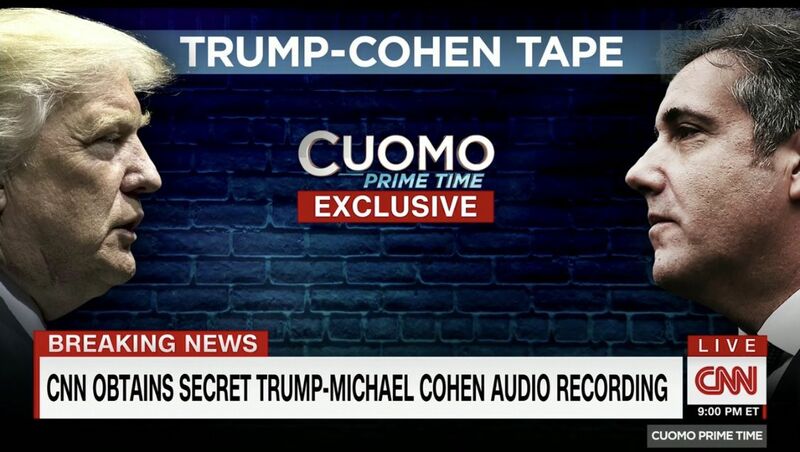 Cohen has totally turned against Trump and appears willing to weaponize the information, and secret recordings, he has at his disposal. We’re now beginning to learn why Trump was so agitated, according to aides, when investigators raided Cohen’s office. 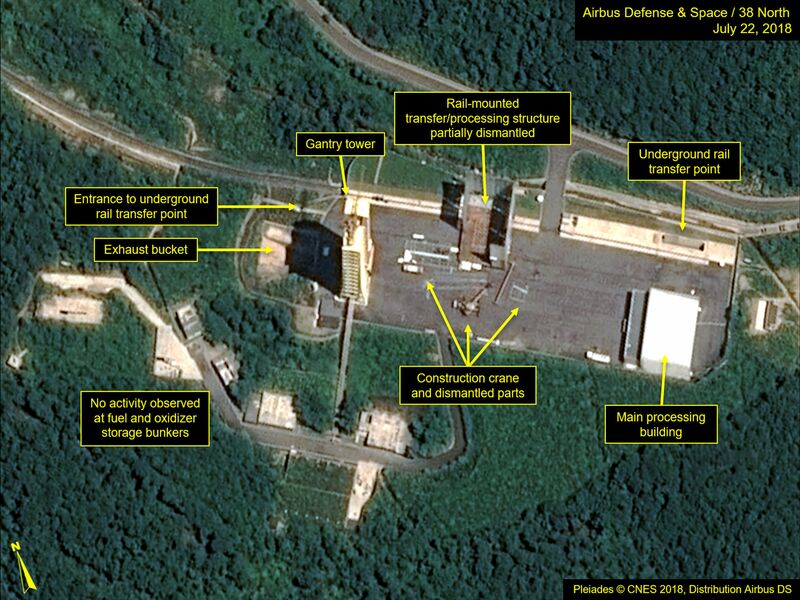 "This July 22 satellite image released ... and annotated by 38 North shows what the U.S. research group says is the partial dismantling of the rail-mounted transfer structure, at center, at the Sohae launch site in North Korea," per AP. Why it matters: "38 North said North Korea has started dismantling key facilities ... in what appears to be a step toward fulfilling a commitment made by leader Kim Jong-n at his summit with President Trump." A story on page 2 of USA Today's "Money" section carries the astonishing subhead: "Starting Aug. 1, you can print an AR-15 at home." "Americans will soon be able to make 3D-printed guns from their homes, widening the door to do-it-yourself versions of firearms." "The choices will include the AR-15, [often used] in American mass shootings." Why it matters: "All 3D-printed guns will be untraceable, and since you can make them yourself, no background check is required." "A settlement earlier this year between the State Department and Texas-based Defense Distributed will let the nonprofit release blueprints for guns online starting Aug. 1, a development hailed by the group as the death of gun control in the United States." "The printers needed to make the guns can cost from $5,000 to $600,000, according to Vice News. The quality of plastic matters, too: An early design printed by federal agents shattered after one shot. A second gun, made from a higher grade resin, stayed intact." Be smart: "The plans being made freely available next month put firearms a few computer key clicks away from anyone with the right machine and materials. That reality has startled gun control advocates, who say it makes untraceable firearms all the more available." New 5G networks are expected to supercharge wireless speeds and trigger an explosion of new services — but they also may exacerbate the digital divide and leave out wide swaths of rural Americans, Axios managing editor Kim Hart writes. Why it matters: According to FCC data, 31% of rural residents don't have fixed broadband service, compared to 2% of city residents. Despite the hype around 5G, there's still little financial incentive for the major telecom firms to spend the billions of dollars necessary to serve rural communities. "And just remember: What you’re seeing and what you’re reading is not what’s happening." — President Trump, speaking yesterday to the Veterans of Foreign Wars national convention in Kansas City, Mo. "On the first couple’s recent trip overseas, Melania Trump’s television aboard Air Force One was tuned to CNN. President Trump was not pleased," the N.Y. Times' Katie Rogers and Maggie Haberman report. "He raged at his staff for violating a rule that the White House entourage should begin each trip tuned to Fox ... and caused 'a bit of a stir' aboard Air Force One." An email "exchange between officials in the White House Military Office and the White House Communications Agency ... called for the ordering of two additional televisions to support Beam, a TiVo-like streaming device, to make sure the president and first lady could both watch TV in their separate hotel rooms when they travel." "At the end of the email chain, officials confirmed that tuning the TVs to Fox would be standard operating procedure going forward." Why it matters: "The channel-flipping flap was the latest example of how Mr. Trump, at a pivotal moment in his presidency, is increasingly living in a world of selected information and bending the truth to his own narrative." "[H]is aides work to keep him insulated from the outside world." “This trade war is cutting the legs out from under farmers and White House’s ‘plan’ is to spend $12 billion on gold crutches. ... This administration’s tariffs and bailouts aren’t going to make America great again, they’re just going to make it 1929 again." "Such risks have done little to puncture the exuberant optimism that is encouraging American businesses to ramp up hiring and consider new investment." Why it matters: "The confidence is rooted only partly in hard-nosed data." "Business leaders who complained that they sometimes felt vilified as engineers of inequality — or greedy exploiters — now say they are pleased to be viewed as part of the solution, creating jobs and wealth." Growing up in the L.A. area, I loved how New York Times headlines (sadly, I got the The Times in the mail during high school) referred to California as "The West." "Our Travel cover feature about retreats and sanctuaries in and around Los Angeles has received numerous complaints from readers who found the piece dismissive of Latino culture and clichéd in its portrayal of the city. We want to assure readers that was absolutely not our intention." "The writer, ... [novelist] Reif Larsen, apologized for causing offense. ... 'I travel to learn about new cultures, experiences and ways of seeing the world, and my learning continues here.'" "Your concerns are being heard, and the issues you raise make us aware that we need to do a better job capturing the true Los Angeles, which did not come across in this piece." Thank you for reading. Updates all day on Axios.com.